I love Flushing Meadows-Corona Park so despite the long haul out there, I was looking forward to running this race. It also happened to be “free” as I cashed in my New Balance rewards for a bib. Way more excited about cutting back on race fees than I am about saving money on shoes. 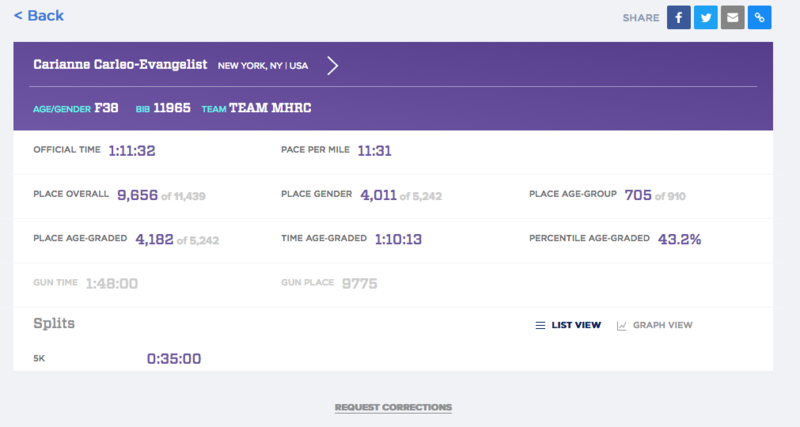 I thought briefly about goals, but didn’t know enough about the course beyond NYRR’s “fast, flat” description to set any meaningful ones. I was happy to be in Wave II which meant an 8:15 start vs. 7:45. “Sleeping in” until 5:30 was lovely. Luckily, trains cooperated perfectly and I got to the Park in time to check my bag (in awe of those who can do without at least a book!) join the insane lines for the port-a-potties. Besides lost sleep, the only down side of a race with a commute. Usually for Central Park races, pre-departure bathroom stop is sufficient. Corrals had collapsed by the time I got to the start so I slid in where I saw a mix of JKLs. Like last week, this was a full step up and start as a group, but it went faster as only G-L were in Wave II. 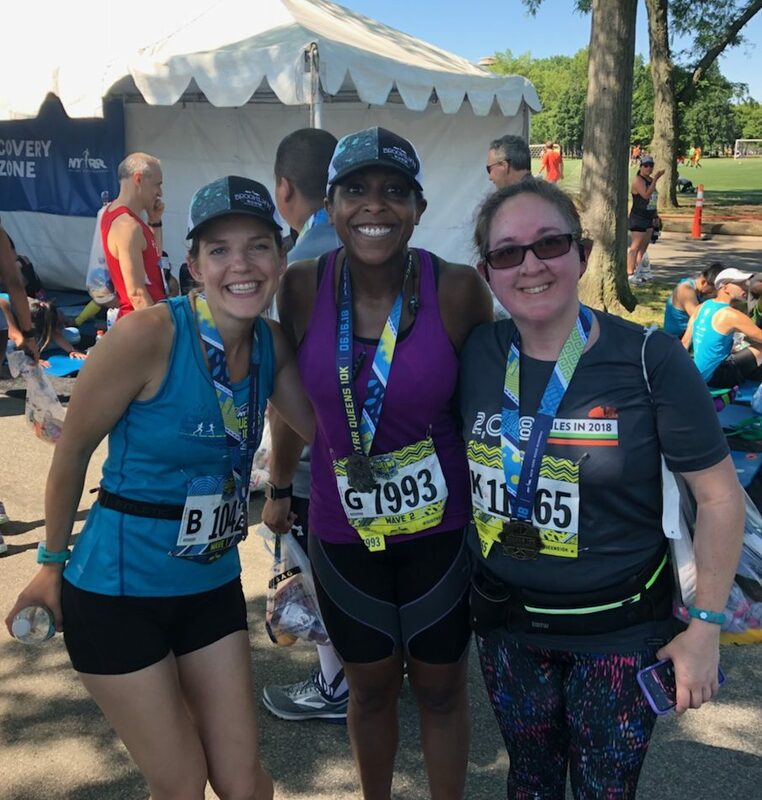 It was warmer than I expected and I decided quickly that this race was going to be like the Fort Lauderdale Half: go with a plan or finish smiling. I opted to finish smiling and to quote Rachel who cheered me in at the finish “you looked so strong”. So smiling and strong became the new plan. I realized during mile one that “flat” included highway overpasses and realized that flat isn’t a universal comment, although this is certainly less hilly than Central Park. Part of the plan that I did stick to is more water at the water breaks. For all the cool & cold runs I’d really only stopped enough to wet my throat, but June temps require actually drinking and since I haven’t quite mastered drinking and running (or walking) I slowed down and paused at the water stops to drink about a full cup of water. And yes, I enjoyed every sprinkler. I’d rather finish slightly slower and not wiped from the heat. Unlike last week, the earlier miles were harder than the latter ones. I needed to settle into a groove and I don’t think I was hydrated enough before the day as I was on the go most of Friday. While this wasn’t one I could run to and therefore warm up, I think that’s part of why Italy was my best run this month. Going to try to run to both next weekend (yes, both. EEK!). The first 5K was a struggle but the second half went quite quickly. I think not knowing exactly where the end was helped. I dubbed the route a squiggle. The 80s child in me saw an etch-a-sketch masterpiece. What I loved about it was passing all of the Queens culturals that have made their home on the side of the former Worlds Fairs. It certainly makes for more diverse scenery than other Park runs. It also really helped me realize where some of them are in relation to one another as I usually to a hub-spoke approach from the 7 Train at Citi Field. What I don’t have, is photos. I wish I had a shot of the unisphere “rising” as we crossed the second of the overpasses, but I saw it too late to stop and had too much crammed in my phone pouch to take it out on the run. So, no photos. Generally an indicator if I’m feeling under the weather. During the run, I wasn’t happy as I thought the time was going to be a disaster, but other than mile five (crowded water stop, another overpass), I found a sweet spot and just stuck with it. I’m pretty impressed with my consistency and I know there’s something to be said for the heat & humidity resulting in a lower pace. So maybe summer is the time to ease off PR chasing? It’s really not fair to compare it to more moderate weather. Crossed the finish, got my awesome medal and caught up with some friends who were also running. Yay for mini reunions. I had the best laid plans of changing into comfy clothes and relaxing in the park, but it was hot and my allergies were flaring big time so I headed back to the train. I realized too late when I looked at Instagram that the unisphere medal in front of the Unisphere would have been awesome. I’d say next time, but I don’t think I’ll run this one again. It was fine and fun, but it’s a long haul for a 10K. I got back to the city, hit the gym for their foam roller-legs feeling pretty good today and happily handed off the post-race bag. I hate throwing that out, but I’m not a Gatorade/Power Bar person so was happy for it to go to good use. I came home and then pretty much chilled out for the day. I needed a mental health day after a busy week. Monday, I needed a break from the world. Following the bridle path to its end was the perfect answer. I actually should have realized that it connects with the reservoir path from a billion and a half times running the latter, but it was a “duh” moment on a beautiful Monday night. Would have gone longer but for the time and needing to get back to NYRR to collect my clothes. Thursday – supposed to be a run day but I realized when I got to the gym that I’d forgotten my watch and headphones. My head wasn’t in it to begin with and I lasted about 30 seconds on the treadmill. So I walked home. It happens. Friday – morning shakeout to test the calves because I knew I’d want the downtime after work. Mission accomplished. Monday – treadmill run. We’re hitting 90 and this delicate flower doesn’t do outdoor runs at 90. Possibly also kettlebell depending on how legs feel after Saturday’s. 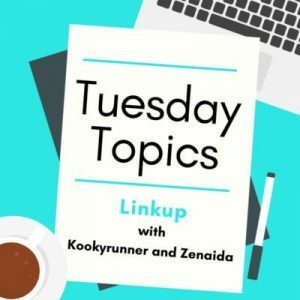 Tuesday – off, work event. 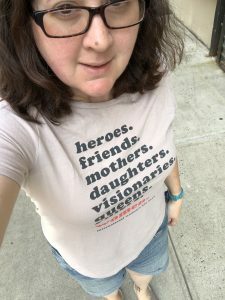 Saturday – Pride Run. New to me NYRR race. I think I have a fun outfit planned. I’m not crazy about this 5M course as it’s the Harlem Hills, but it is what it is. No PR chasing. Goal is just to have fun and finish smiling while celebrating LOVE. Sunday – Achilles 4M. Love their work. Standard 4M loop but not sure what legs will feel like after hilly 5M the day before so this may be a fun run. All these races in June was more than a little over ambitious. So I’ll be glad for some down time and sleep. Maybe. I was wide awake at 7:30 this morning but coaxed myself back to sleep. Yes! I was just reading a wonderful thread in the reddit master running thread about year on year fall improvement after summer. I can’t wait. Although summer looks like it well and truly arrived this week, hopeful for a few more cool treats. Magic running weather. 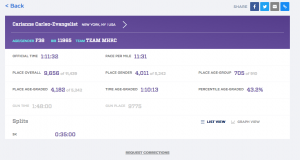 Congrats on that 10k–consistency is always the goal, right? As hot as it is, I don’t know if I can do the mill. I’ll just get up earlier…or ride my bike. Good luck on your races and as always, thanks for linking up. 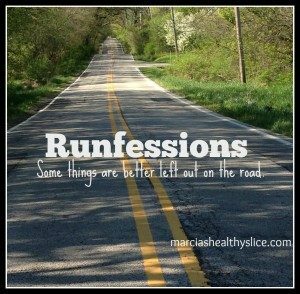 I think because I started as a treadmill runner, I can tolerate it better. It’s only bad when I want to be outside but can’t-usually because it’s dark. Otherwise generally grateful to be able to get and run because if I want to and can’t, mental hell breaks loose. I am not so great at drinking while running or biking either. Tough to chase the faster temps in summer time for sure. Great job! 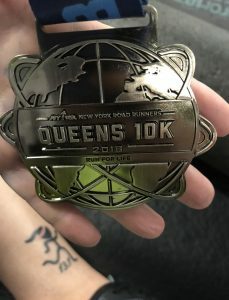 I’ve done the Queens 10K twice and it’s always so darn hot for that race! I agree, summer is definitely a time to hold back on PR’s. Sorry you didn’t enjoy this race as much. 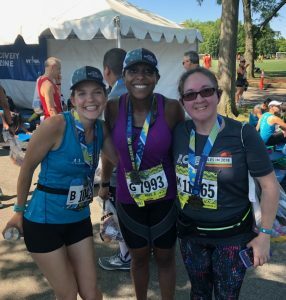 I really want to do another NYRR race. Which others would you suggest? I’m personally biased to the Central Park ones as they’re so close and I love the lower loops (5, 4 miles). What time of year are you thinking? It’s very hard to drink while running! I usually snort it up my nose. To run strong and consistent is the only thing we can hope for during summer running. And, you did just that! You’ll be crushing your PR’s once cooler fall weather arrives! Thanks for linking! Yep! Or choking. I said one day I had a liquid hairball. Good idea not to chase PRs in the heat, the humidity is the bad one as the sweat can’t evaporate. And it took me ages to learn to drink on the go. I remember the first race my friend Jen and I did with cups, she managed to get her water up her nose and I threw mine over my shoulder! (The trick with cups is to pinch them to make a spout). I also remember the feeling of accomplishment when I managed to eat my first gel on the run! One race I did the spot trick to pour them into my bottle. Not sure why I abandoned that, but I need to go back to it. This race was slightly odd in that there was no post-race water table. Luckily the park had water fountains. That is a cool medal — for a hot race, LOL. I am not a fan of summer racing at all. Just getting a few miles in is an accomplishment. Yes, I’m going to chalk this up to lesson learned. Although I had a specific reason for wanting to do most of these, I may not repeat many next year. Ha! Yes, “flat” is a relative term. Overpasses definitely don’t seem like “flat” to me anymore, but then I live in the flatter than flat Charleston Lowcountry. Overpasses seemed flat when I lived in hillier than hilly Charlotte, NC. Good job getting a race in in the heat. I don’t mind running in the heat, but actually racing is a different story. Yes! I was spoiled by Cherry Blossom 10M where the only elevation was a speed bump. I did not expect two overpasses. Love Charleston. Went there for family vacation a couple of years ago before I was running but certainly got lots of steps in exploring the city. I always have a hard time adjusting expectations for the heat! It’s part of why I don’t race much in the summer. Fall is my favorite time to race. This year is a bit mixed up though because I race a lot (for me) this spring & have my big races in the summer — something I’ve never done before. Usually by now I’m either done with goal races or just about to begin training for a fall race. Today was definitely humid. Not really hot per se, but the humidity — ugh! I don’t get runners that like that. Sorry you were disappointed. PRs are tough in the summer. I never carry water so that means I stop at water stops. It slows you down but the alternate is dehydration. Let’s plan a meet up in August. Bridal path!!! I carry water too, but I get in the habit of sipping as I wait, which means there won’t be enough to get me through in summer. I also like freezing it when it’s super hot so it’s chilled when I finish.